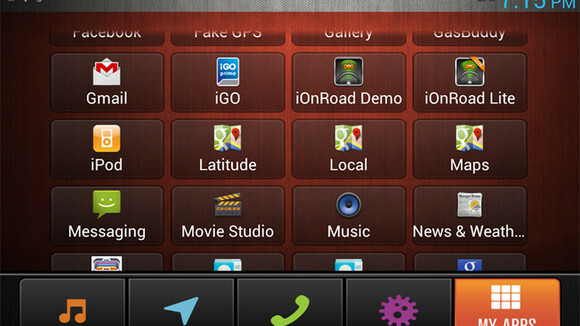 Automobiles: The Ultimate App Machine? The most interesting theme to emerge from all the announcements at CES last month was that of the automobile becoming an app platform. The Big Three all released information about their respective efforts towards this, ranging from Chrysler enabling internet radio apps to stream on its Uconnect system to Ford and GM both announcing app development programs for their respective in-car software platforms. Not to be outdone some of the leading consumer mobile tech companies also provided updates on their continued integration efforts with the automobile manufacturers including: Pandora naming Chrysler as its 20th auto brand partner and Hyundia and Kia joining 3 other car companies in working with Google to integrate Maps capabilities into their respective car connectivity systems. Add to this the recent announcements regarding the incorporation of Siri Eyes Free into specific Acura, Honda and Chevrolet models following Apple’s announcement of this initiative last year, the availability of Amazon’s Cloud Player in select Ford vehicles and Facebook’s hiring of a Head of Automotive, you can see why the next great battleground for audience attention is taking place right behind the steering wheel. And why not? The automobile is the last physical space where Americans spend an inordinate amount of time (18 ½ hours on average per week according to a 2009 Arbitron national in-car study) that hasn’t been infiltrated by the internet. With time spent in cars continuing to rise (an average increase of 31% for weekday driving since 2003 according to the same study) the opportunity to replace the current analog automobile experience with apps is only getting bigger. The in-car digital experience will differ from how we currently interact with apps and the greater web on desktop and mobile computing devices in one dramatic way- the user interface. Since driving requires focus on the road, hands-free controls to both navigate and consume content will be the default setting in automobiles. With Apple’s Siri-based iPhones and Microsoft’s Xbox having become mainstream consumer devices at this point, the learning curve for performing voice-activated commands won’t be an issue. Instead, the limitation will be on the content side where audiobooks, internet radio, music, podcasts and voice navigation systems are the only categories already in a format that can leverage this opportunity, leaving text-based media to be adapted in order to participate. This creates a new market for speech and text conversion technologies like Nuance to be the provider of voice navigation controls at the automotive platform level or apps like iSpeech that convert articles and books from text to speech. Not surprisingly, local radio station owners and navigation system manufacturers are the most likely to be disrupted in this evolution. Without the technical limitations of terrestrial radio signals, consumers will be able to access local programming from anywhere in the country through apps like iHeartRadio or national programming without any additional in-car hardware from SiriusXM Radio. Subscribers will also have the ability to create their own music stations via Pandora or listen to the exactly what they want using apps such as Spotify. As audio consumption continued to increase online, so to will the allocation of local ad dollars as marketers will have access to audience-related metrics that aren’t available through traditional radio including actual listener numbers, not estimates, and the ability to target ads to the zip code, not just the station. From the perspective of navigation systems, apps like Google Maps and Waze will continue to take the place of built-in and after-market navigation devices with their ability to provide current mapping data and crowd-sourced traffic updates via their respective networks. This is a much more compelling solution than paying the auto manufacturer to send you a CD every year just to update the in-car mapping data (which is my car’s case). Pandora Media has the potential to be a big winner in the digitalization of the automobile experience but not for the expected reasons. Pandora’s viability as an internet radio service has been questioned because of the cost structure challenges presented by the music industry. But with more than 1,000 partner integrations, including 85 vehicle models and 175 aftermarket automotive devices, Pandora could evolve into a platform service, much like Amazon did with Web Services, that would allow other developers to leverage these automobile-related hardware integrations to allow their apps to connect with vehicles and related devices as well. No matter how the battle for the next digital screen plays out, Google is one of the best positioned companies because of its existing portfolio of technologies. With Google Maps slowly getting integrated into various vehicles experiences, Google will have its Trojan Horse for offering up services beyond just mapping and traffic data. By looking at the additional data layers offered in Google Maps you get a picture of this: Navigation provides turn-by-turn directions, Local identifies nearby retail establishments, Latitude find people you know that are physically near you and History stores information on the places you’ve been. This provides Google with contextual data around where you go and with whom which can feed newer services like Google Now, which uses machine learning to predict the information you might be interested in (like when to leave for a meeting, activities you could do nearby or sports schedules for your favorite teams), to enhance the user experience across all screens. Add to this Google’s quickly improving natural language capabilities for voice commands and Android-based in-car app platforms being developed by the likes of Harman, one of the largest suppliers of in-car technology, and you can see why Google is so well-positioned to dominate the in-car content experience going forward. Either by consumers using its apps, or better yet by automotive-related manufacturers using its mobile operating system to enable apps, Google will continue to capture an increasing amount of data on consumers, which in turn makes its services smarter and more useful to people, which brings more users to Google’s platform in a self-fulfilling cycle. If all else fails, Google could simply provide the driverless car technology it has been testing and own the entire digital automotive experience itself. With over 105 million solo drivers on the road in the U.S. the digital dashboard opportunity goes beyond just enabling subscribers to consume more information and have access to better in-car utilities. It also creates an opportunity to give advertisers access to a very targeted, but maybe more importantly, captive audience. By marrying registration and demographic data of the driver with their current location, via GPS, along with intended destination, via maps and navigation, content providers and advertisers will be able to incorporate much better audio ads, using real-time ad-insertion technology, and digital offers than ever before. And because of the linear nature of consuming audio content, advertisers should expect a better return on their marketing expenses because drivers won’t be distracted by anything else. It’s reasonable to believe that we will see the fruition of these early in-car efforts over the next 2 to 4 years. Now imagine 2020, when the first driver-less cars are expected to hit showrooms (although if Google had its way, it would happen sooner). The experience of driving a car will become obsolete and everyone will become a passenger so the content consumption and advertising-related opportunities will expand as former-drivers can focus on other activities in earnest turning the car into a portable living room. Maybe then Bill Gates’ famous quote comparing the computer and auto industries, and subsequent rebuttal from GM, might actually have some truth to it. At last month’s TechCrunch Disrupt the best interview of the multi-day conference was that of Chi-Hua Chien, partner at venture capital firm Kleiner Perkins Caulfield and Byers (if you haven’t seen it yet, I urge you to put aside twenty minutes to watch it here– it’s that good). In the interview Chi-Hua discussed Kleiner’s investment thesis in the context of technology’s ability to democratize industries. Previously technology had been leveraged to disrupt information (through the internet and search), distribution (through social media) and computing (through PCs and mobile devices). Now he says we’re in an era where commerce is being democratized. Through the “unwinding of that aggregation of commerce” companies such as Home Depot, Safeway and Walmart, which have succeeded historically by aggregating consumer demand through credibility and inventory, now have to compete with new demand aggregators coming from smartphone apps. The effects of this are already being felt by the retail electronics industry as Best Buy recently announced it was in the process of shrinking its physical footprint due to a drop in same-store sales which some are attributing to internet retailers benefitting from ’showrooming’. This disruption isn’t just be limited to physical commerce though, as retail financial services are also undergoing their own transformation thanks to more activities (such as depositing checks) being performed via mobile devices, which is reducing the number of transactions taking place inside bank branches across the U.S.
As a result retail real estate is becoming less important as a marketing and demand generation vehicle. 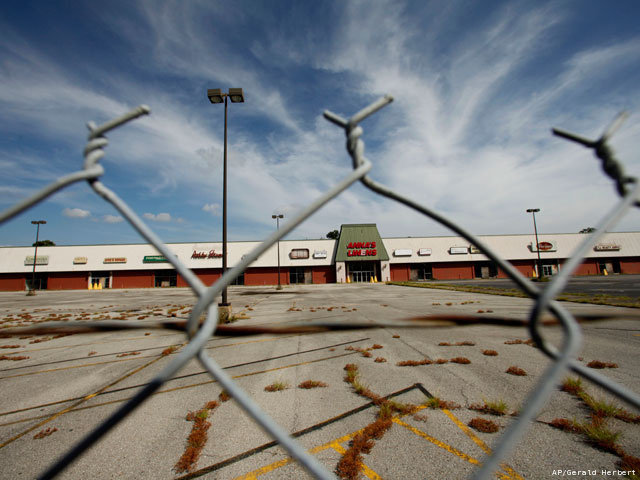 So what will become of big box stores and strip malls? Chi-Hua, during his interview, and start-up founder/angel investor Chris Dixon on his blog recently, both alluded to the answer- companies that can create differentiated and superior customer experiences and not just compete on price will be the ones that succeed in this new retail environment. Starbucks was the first modern-day brand to successfully build a business around creating an experience for mainstream consumers (even resulting in a book being written about The Starbucks Experience). Then there’s Apple, the best example of how to build a successful retail presence. In the 11 years since the first Apple Store was launched, the company has opened up over 360 retail outlets worldwide and has become the most profitable retailer in America in the process while competing with electronic retailers such as Best Buy. New opportunities to disrupt commerce will open up as a result of this excess capacity in real estate and Amazon might just be one of the biggest benefactors of this. As the company continues to grow its Amazon Prime subscriber base and potentially extend its Kindle line of devices this will increase Amazon’s need to grow beyond its current 34 warehouses in an effort to get the most popular inventory closer to its customers for faster delivery (for Prime subscribers), in-location pick-up (for consumer convenience) and product testing (for newly launched Kindle devices). An even more likely scenario will be an increase in temporary retail store experiences (also known as ‘pop-up shops’) where brands can leverage physical presences for short periods of time in order to support the launch or promote new products or services, which Samsung is looking to do in order to better compete with Apple for example. The most exciting opportunity that could further transformation the physical retail experience is the democratization of manufacturing through technology. This next wave of disruption will come courtesy of 3D printing, which aims to digitize manufacturing and enable individual production quantities of many objects at massive scale. 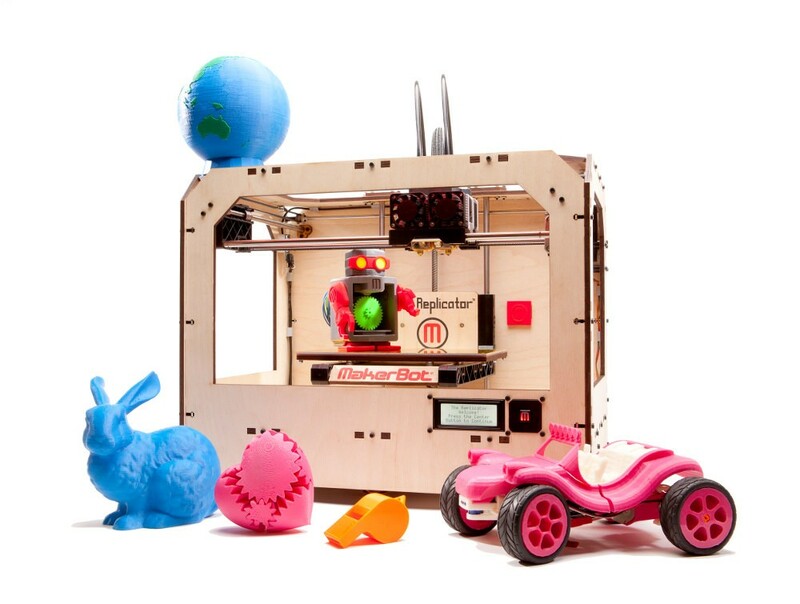 Currently 3D printers from the likes of MakerBot and Shapeways are used primarily used by hobbyists to create single-compound objects (usually plastic or metal). From this you can imagine a point in time in the future where more complex objects (made of multiple compounds, colors, etc.) are offered by developers through specialized retail store-fronts where consumers can submit orders for pre-fabricated products or design their own specifications to be printed out and picked-up. Each 3D retailer could specialize by type of product (ie plastic toys such as action figures or Legos) or production capabilities (ie motors for remote control vehicles) depending on their capabilities and demand. The beauty in all this is that there will always be a need for retail real estate and technology will play a part in its evolution. At TechCrunch’s Disrupt conference a few weeks ago legendary venture capitalist John Doerr of Kleiner Perkins Caufield & Byers spoke about what he considers to be the next, and third, great wave of innovation- the intersection of social, mobile and new commerce. 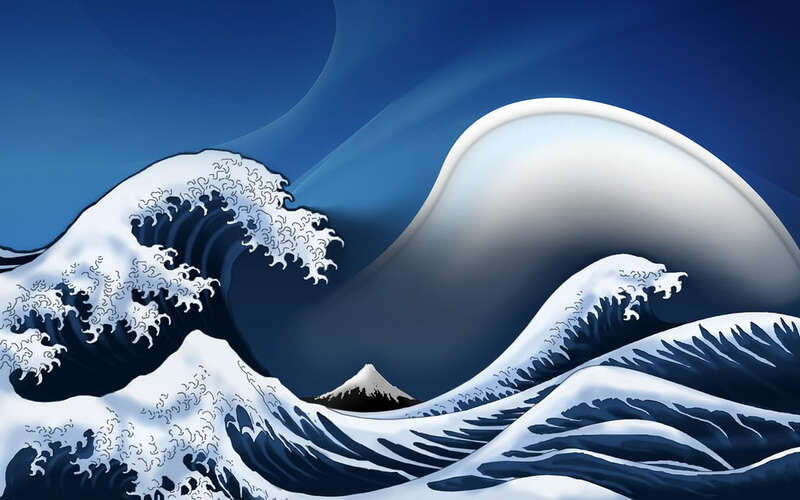 Like swells in an ocean, technology innovation is not comprised of a single wave or event, but instead a series of them. Smaller, initial waves enable those in the middle of a set to generate the largest swell and associated impact, while the smaller waves at the end benefit from all the efforts of the preceding waves in the group. While I would agree with GigaOM’s Om Malik that we are already in the throes of John Doerr’s third wave, the areas of social, mobile and commerce each represent a unique wave in time within this current innovation set. Social is an important, but early wave that will help mobile, the middle wave, generate the largest impact in this third technology wave. One of the benefactors of both the social and mobile innovation waves will be commerce, which well-known early stage investors Josh Kopelman of First Round Capital and Fred Wilson of Union Square Ventures have both identified in recent months as being areas of emerging opportunity. In 2007, two events helped propel this commerce wave forward more than any others- the launch of Facebook’s platform and Apple’s release of the iPhone. Though Friendster and MySpace preceded Facebook in the area of social networking, the ability to create and extend the social graph of what is now 500 million users to third-party websites and services has enabled Facebook to become the social identity layer for the worldwide web today. Meanwhile Apple changed the mobile landscape forever by enabling applications to be developed for the iPhone that leveraged the smartphone’s capabilities as well as those of the wireless carriers’ networks. The traditional insular, walled-garden approach to third-party content and services on carrier data networks and mobile handsets has been replaced by innovation around the mobile internet and applications. This has resulted in enhanced functionality and value to consumers from not only the iPhone but other smartphones and mobile operating systems looking to benefit from this new ecosystem- all while driving additional data revenues for wireless carriers in the process. Internet commerce websites like Amazon were actually early adopters of social technologies- empowering their customers to post reviews and ratings on product pages to help other Amazon shoppers determine whether or not to buy a particular item. This crowd-sourcing feedback model hasn’t evolved much since first being launched though, keeping the relationship between reviewers and shoppers fairly anonymous and thus limiting consumers’ trust factor. Allowing users to layer their social graph on top of the commerce experience would enable potential buyers to see feedback from family and friends or their extended social network first, further enhancing the shopping experience for consumers and inevitably driving better revenues for commerce sites. Recently launched Blippy and Swipely both aim to capitalize on this theme by enabling their users to share purchase transactions with their social graph. While these companies are focused on creating a discussion around purchases post-transaction, there is an opportunity in being able to curate this commentary and incorporate it into product feedback loops across commerce sites, making the shopping experience even more personal and dynamic. Probably the hottest area in online commerce though has been the group buying segment with the likes of Groupon and LivingSocial raising $135 million and $39 million respectively this year alone. While the business model isn’t new (Mercata and MobShop, founded in the late 1990’s were the original group buying platforms that became casualties of the internet bubble), the ability to tap into consumers’ social graph to enable the group buying mechanics to work is. After years of promises, mobile finally seems ready to deliver on the cliché “get-a-Starbucks-coupon-on-your-phone-when-you-walk-nearby.” With the ramp in mobile internet subscribers already exceeding the speed of traditional desktop internet adoption and global smartphone sales expected to surpass personal computing in 2012 according to Morgan Stanley Internet analyst Mary Meeker, how mobile is being thought of and used in commerce is changing dramatically. With most commerce companies already having a mobile version of their website and native applications available across various mobile app platforms, the biggest opportunities in mobile going forward are in bringing real-world and digital experiences together via augmented reality and enabling a variety of payment capabilities through mobile phones. 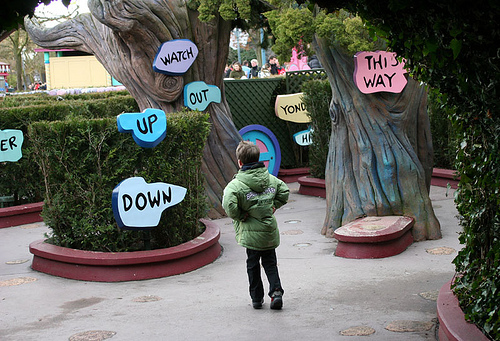 Augmented reality brings information from the web into the real world in real-time. This can be accomplished by (1) adding visual data elements to the visible world (i.e. through Layar’s Reality Browser) while looking at something through a mobile phone camera, (2) leveraging QR (quick response) codes located on storefront decals (which Google makes available through Google Places) or outdoor ads to access additional information about a place or item via the mobile internet and (3) adding data to physical objects via bar codes (the idea behind recently launched StickyBits) or associating data with locations people have visited (a la Foursquare ‘tips’). In each of these instances the opportunity is to quickly and conveniently provide additional information to help consumers make more informed decisions. Mobile payments represent the largest, albeit most fragmented, opportunity as Generator Research predicts the market will grow almost ten-fold from last year to $633 billion in worldwide revenues by 2014, driven by nearly 500 million users. The types of payments users are able to initiate vary from physical dongles like Square that allow phones to function as cash registers for merchants, to buying virtual goods for apps through Boku or Zong using a consumers’ mobile phone bill instead of a credit card, to paying friends through platforms such as PayPal or Venmo. How can commerce make the best use of these innovations? A family on vacation in New York City is interested in sight-seeing as well as catching a show on Broadway. The father sends out a prioritized list of attractions and a budget to local travel agents, which respond with multiple itineraries based on the given parameters. Several people in the same city are looking to buy the same toy. They query their phone to find the cheapest price. Participating stores are notified of inquiry and are given the ability to offer a discount if a minimum number of these consumers buy today, which can be completed on the phone and the toy held for pick-up. The key distinction with these futuristic examples is that instead of making consumers proactively pull information from disparate sources to get answers, the information is pushed to consumers based on their stated intent. Pleet, which launched earlier this month out of the UK, looks to address this opportunity by “socializing vouchers” around consumers’ intended action in a specific location. Well-known tech blogger Robert Scoble also explores the possibilities of real-time, in-the-moment commerce that leverages context aware apps and services in a guest post on TechCrunch this month. In either user case (pre-sale or during an event) the default requirement is that the consumer has control over which apps and services can share what type of data with one another and what information (updates, offers, etc.) is allowed to get pushed to users and their social graphs. Mobile’s role in all this is to tie these web services to a user’s physical location to enable various types of commerce opportunities to occur as well as provide a way for consumers to add information in real-time to enhance the value of the data. For this reason augmented reality (AR) does have a viable future, despite some of the early hype around it. AR can pick up where intent-based, push-oriented commerce opportunities leave off by providing consumers with the ability to pull dynamic information from the internet into their real-world situations. That is why services like Foursquare and StickyBits that allow users to access data related to places and objects via barcodes respectively have a great chance to succeed- because they can generate a large network effect not only from social connections on the platform but also due to the information users are augmenting these respective services with. So for those instances where someone doesn’t have the ability to request offers and information from restaurants on lunch discounts they can instead leverage an augmented reality app that contains information on proximity to restaurants in the area as well as any reviews from friends, general feedback or coupons and make reservations in the process. Amazon– Even though Amazon has been accused of missing the boat on social commerce, they still have the very enviable position of being the largest pure-play ecommerce company, and fastest growing retailer, in the U.S. With all the product information and review data they have collected over the years and experience in managing online storefronts, Amazon could not only empower other sites and apps with this data but also manage the supply chain for consumers looking to transact via mobile yet pick up products at a physical location. The value of the company’s data set could be further enhanced for its own financial benefit by enabling Facebook users to access their social graph through the Amazon.com website. Apple– The company’s inclusion is due to its recent acquisition of Siri, a voice-activated personal assistant application, rather than being the leading smartphone and app platform. Siri’s value to Apple is in its ability to integrate various APIs from a variety of restaurant, movie, weather, taxi and event services to enable voice-activated search which can lead to a variety of commerce opportunities. In the process of integrating Siri into the iPhone, Apple is also laying the groundwork for an entirely new user experience in mobile search. Facebook– The company has already proven the power of combining the social graph with commerce by enabling a billion dollar economy in virtual goods to arise. With the launch of Credits, which could become one-third of the company’s revenues over the course of the next 12 months, Facebook has an opportunity to become a big player in mobile payments by enabling alternative payment options for its virtual currency. Combined with the fact that Facebook not only has the most popular mobile app out there but also provides authentication for a number of other mobile apps, there is tremendous upside in what the company can achieve in the commerce space. 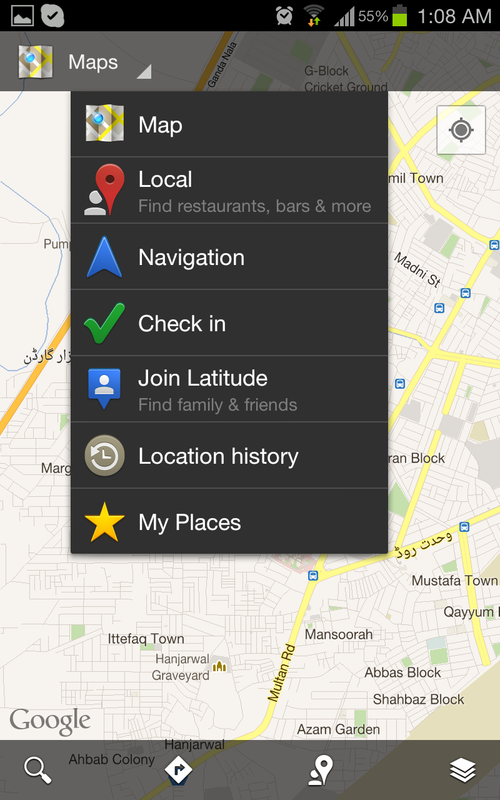 Google– The launch of Android, Google Latitude, Google Maps and Google Places over the years are all efforts to bring location into the search equation. Being able to marry search intent with location data opens up a new revenue opportunity around local search advertising and commerce for Google, which despite their forays into display advertising, needs to continue to rely on search advertising to grow its business. Some of the aforementioned companies in the social transaction, group buying, augmented reality and mobile payments spaces all have opportunities to succeed in this new wave of commerce innovation. The broad category of augmented reality is the most interesting because it operates at the intersection of both worlds (real and digital) so is best suited to incorporate social and mobile features from these other businesses. While most success stories will be through acquisition, companies like Foursquare have the potential to succeed on their own by focusing on the demand and intent side of the commerce equation. Since the company has created a user experience around “checking-in” to locations and venues as well as leaving “tips”, it would require only a slight modification in behavior to have users instead display their intent by “pre-checkin” and aggregating the demand they already capture to drive additional utility around commerce. Even though the company has focused on the game mechanics of its service, the fact that it has nailed social and mobile interaction gives it a leg-up on other competitors. While I can see why Josh Kopelman believes the past 10 months have shown greater innovation in online shopping than the past 10 years, I believe the wave has yet to come and that the next 18 months is where the greatest innovation will occur around real-time, intent-oriented commerce. Photo credits: Madeleine1912/Photobucket, centralasian/Flickr and chizzachong/Flickr.